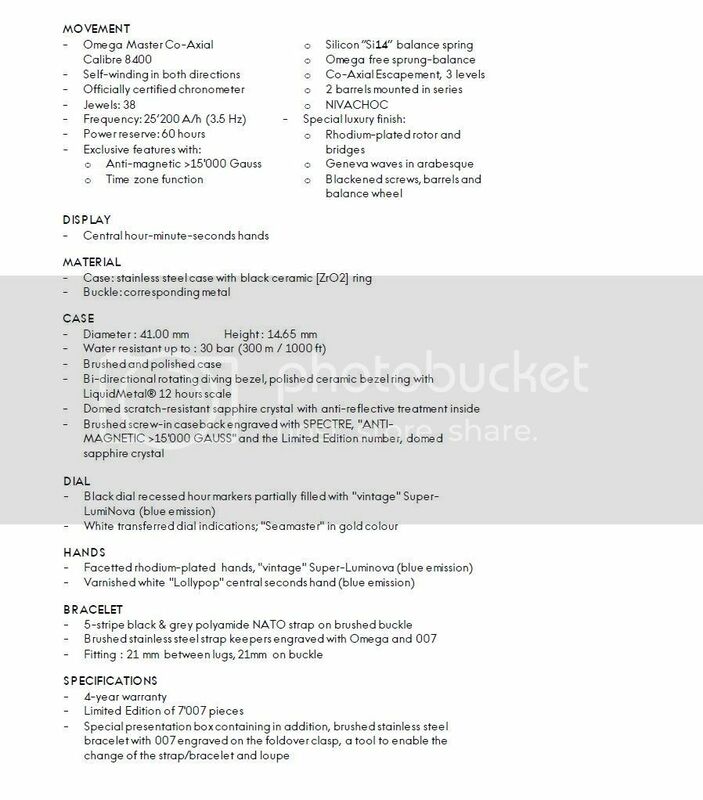 The spec sheet for the new SPECTRE Seamaster LE has been leaked. 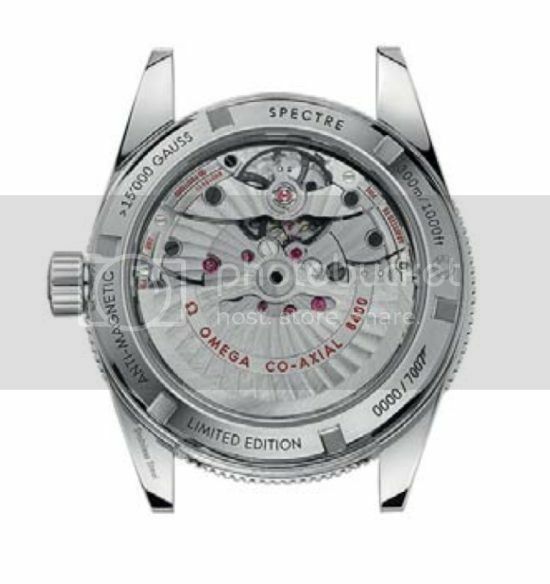 New information includes a statement that a brushed SS bracelet will be included as well as the NATO (good move Omega). The movement is an unmodified cal 8400. Also new is the reference number...aaaaaaannnnnnd a shot of the casebeck. 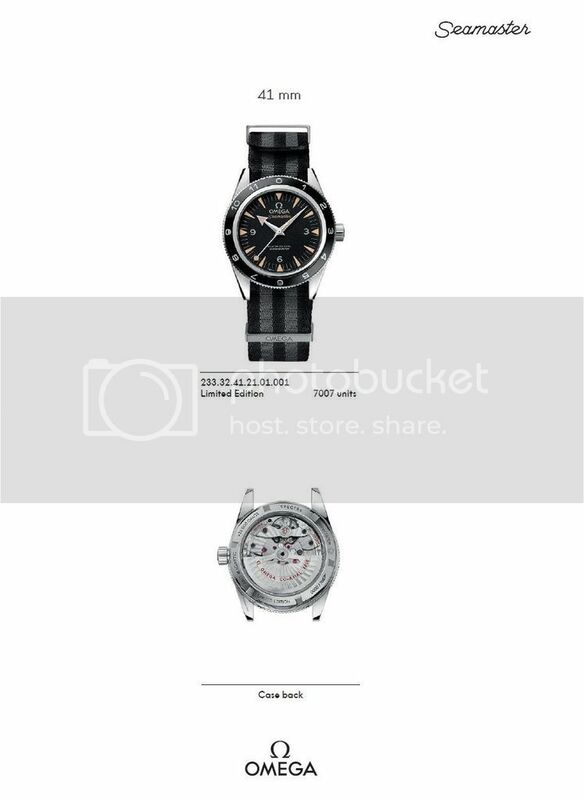 Isn't the balance wheel on this movement located at 6 o'clock, and not at 12 as is depicted here?